Have a physical office within the country. Have a compliance officer employed within the stated office. Make arrangements for client record keeping and anti-money laundering to be handled by the firm’s office in the jurisdiction. Be a registered corporation and comply with the country’s business laws. We estimate the that the costs of a FSP to keep its appointment is at least $40k to $50k a year. Providing any other financial service that is prescribed for the purposes of New Zealand complying with the FATF Recommendations, other recommendations by FATF, or other similar international obligations that are consistent with the purpose of the 2008 Act. 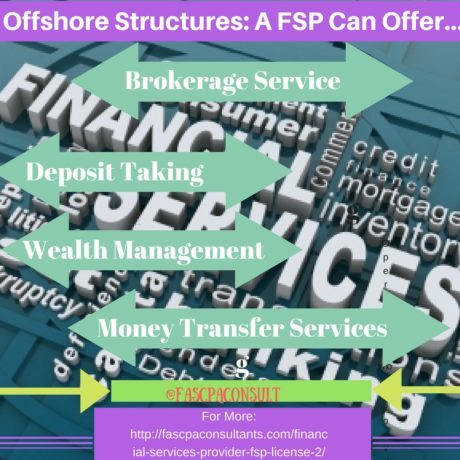 The activities a FSP can undertake are practically unlimited and there are no restrictions (subject to the laws of the jurisdiction where it operates) as long as it does not take deposits from the New Zealand public or do not do business in New Zealand. Turning your organization into a FSP can be a very profitable business, however as we already established, it is not an easy thing to do. What is more, there have been new requirements added recently, which are very strict and can be complex if not addressed by a professional, such as a resident director. We at FAS CPA & Consultants have practical experience in successfully applying for FSP license and excellent, expert knowledge of all the requirements from the FSPR in New Zealand, including disputes for FSP delicensing.